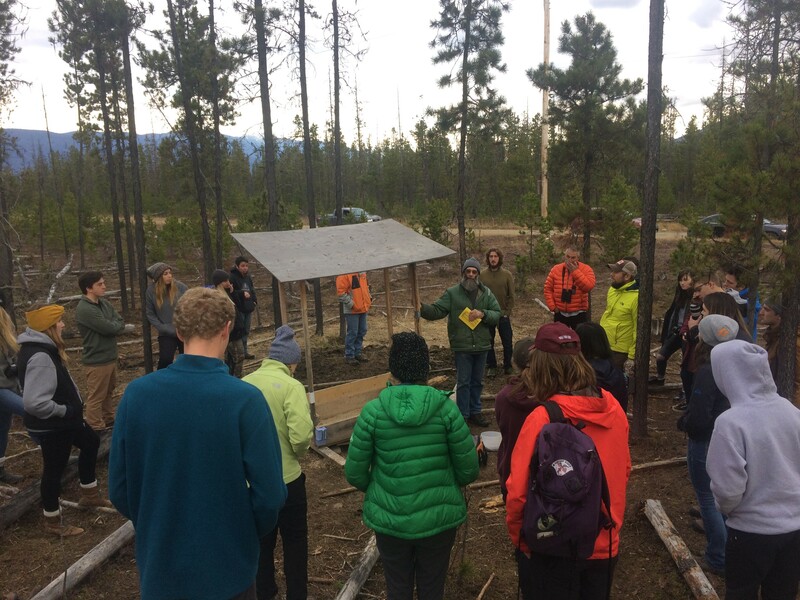 This year at the banding station, the 12 student chapter members that travelled to Mugaha Marsh had the experience of seeing a variety of song birds, 2 Saw-whet Owls, and the first Boreal Owl of the season. Students had the option to go exploring before the owl banding began, and they were able to see many types of waterfowl, raptors, and a few fur-bearers on the many trails around the banding station. The night merited beautiful northern lights, a whole lot of meteors, and the calls of a small pack of coyotes. An all-around wonderful weekend with some wonderful people! Our annual Fall Meet and Greet was a great success! We had over 70 students in attendance, as we talked about events that we have coming up, as well as what TWS is all about. 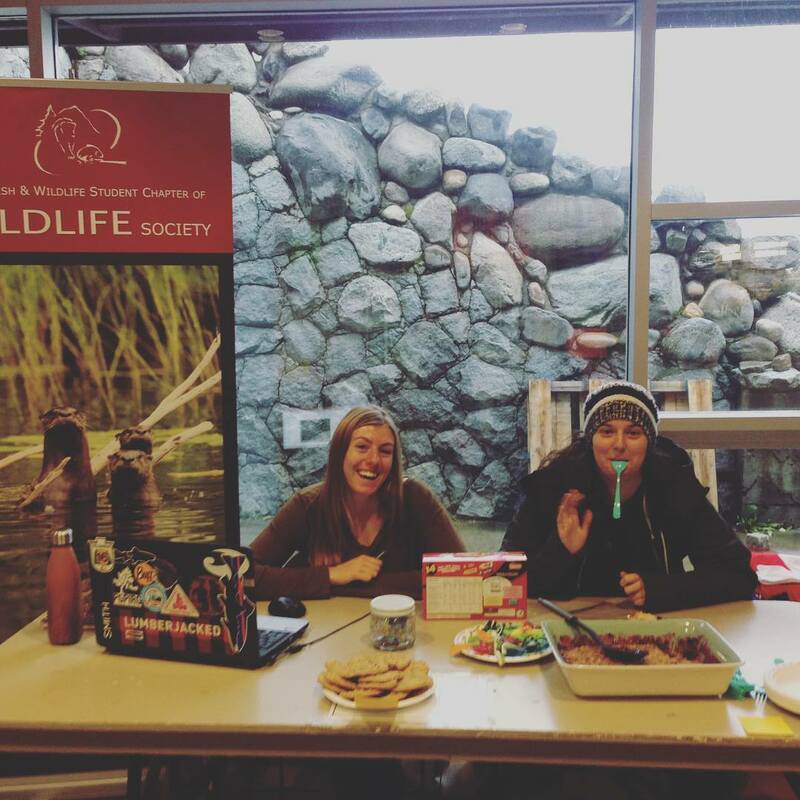 Thanks for coming out and supporting UNBCâ€™s Student Chapter of TWS! Our 1st trip out to the Fulton River Spawning Channel was successful on a level beyond expectation! It became our largest trip in recent history, with 34 members attending. Two nights in Red Bluff Provincial Park, half a day touring the facility, half a day of fishing, and so many sights to see. Past the natural formations; waterfalls, canyons, alder groves, and winding rivers, the wildlife proved exceptional. 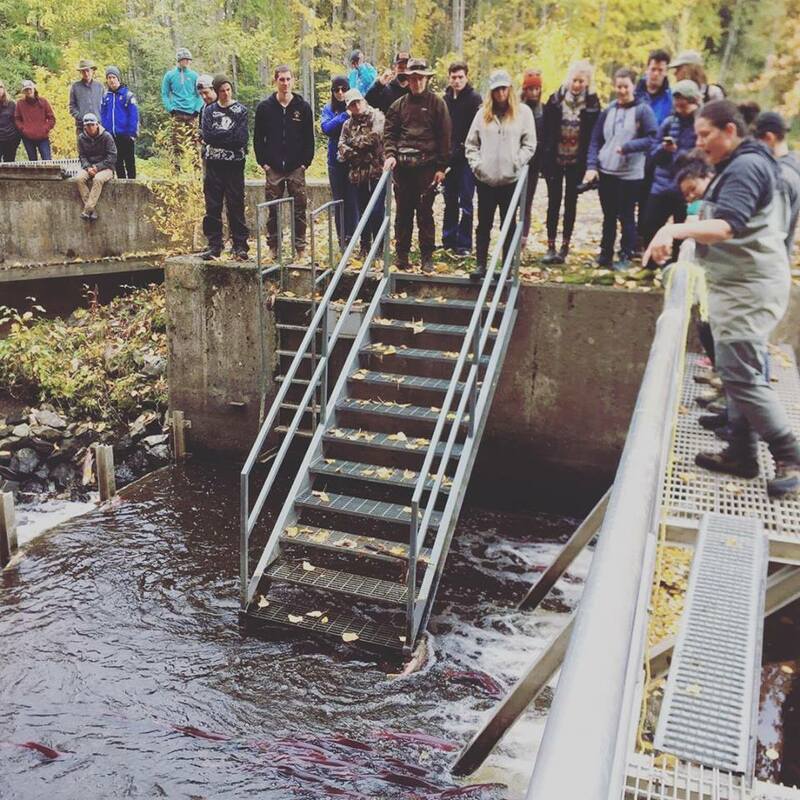 Among the innumerable sockeye salmon were seen pink, and coho salmon, rainbow trout, and various minnow species. The eagles completed the spectacle, populating every habitable layer from the river, spiraling upwards on their thermals. Not to be left out, some mammals also made their appearance. 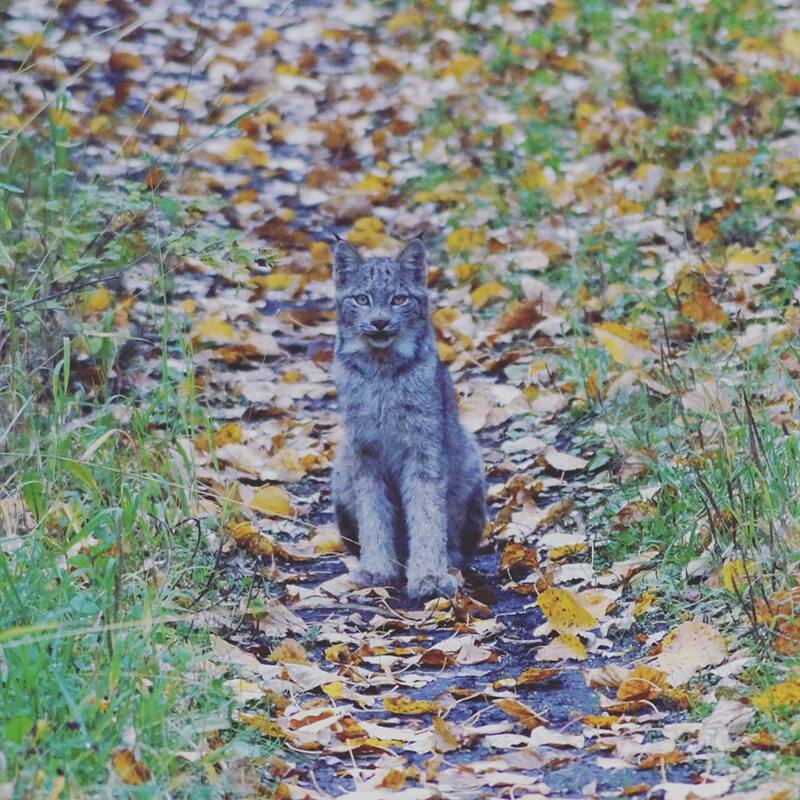 An especially lucky group on this trip encountered a lynx, beavers were spotted in the park, and bears on the road near the channel were also seen. With the black flies buzzing, thatâ€™s 4 major groups accounted for in one trip! A lovely Sunday morning on the beach in the sun concluded the trip, and with only a pit stop at another waterfall on the way remaining, we headed home. Thanks to everyone for making this outing all that it was. This year ten TWS student chapter members joined Mark Thompson on an amphibian walk around UNBC and Forests for the World trails. The students learned all sorts of fun facts about amphibians as well as their important role in the ecosystem and nutrient cycling. The group found a dead Long-Toed Salamander (Ambystoma macrodactylum) as well as a dead Western Toad (Anaxyrus boreas). 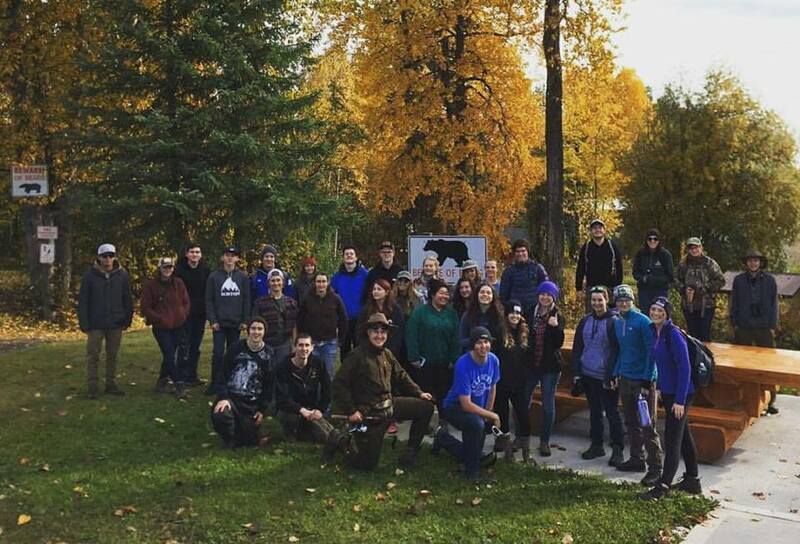 On the 21st of October, 2017; students from the UNBC student chapter of The Wildlife Society drove one hour to Vanderhoof to visit of the Nechako White Sturgeon Conservation Center. 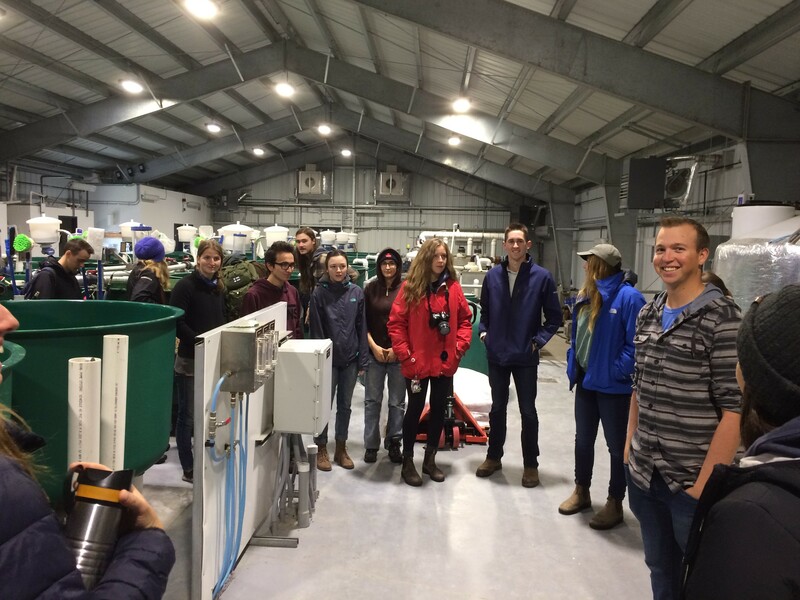 At the center, they were educated on the challenges facing the endangered Nechako White Sturgeon, and treated to a private tour of the hatchery facility which actively raises Nechako White Sturgeon for release. Thank you to the 25 members who joined us on our trip to Kennedy Siding! 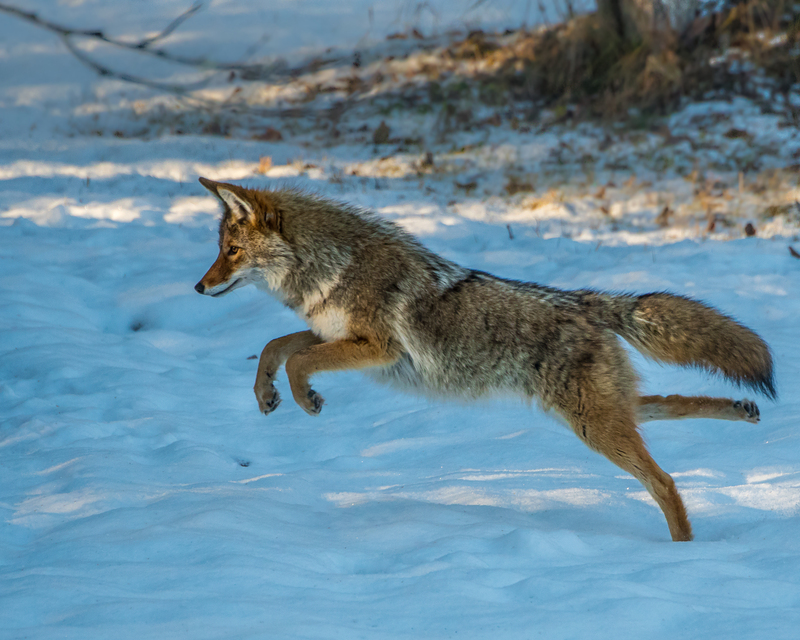 Biologists Dale Seip, Doug Heard and Mike Klazcek shared their knowledge of the Caribou herds in the area and discussed the specific herdsâ€™ winter and summer ranges. 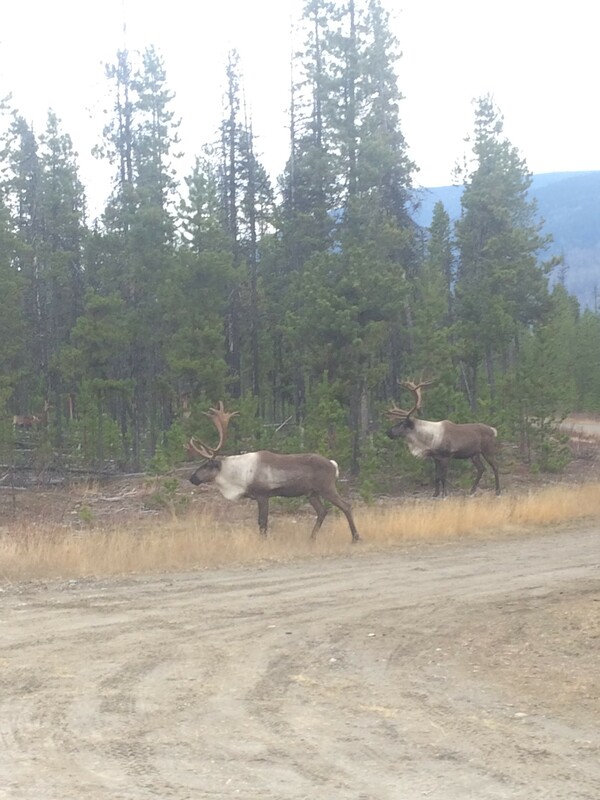 Just 2 minutes down the Kennedy Siding FSR, we saw about 3/4 of the Kennedy Siding Caribou herd! While taking footage of these brilliant animals, Seip, Heard, and Klazcek described caribou and lichen ecology as well as their testing and sampling methods for identifying the caribou. While we ate lunch, a bald eagle watched us from the other side of the river atop a large fir tree! Heading back down the auxiliary road, Doug Heard showed us his last caribou feeder as he demonstrated how he acquires the weight of and identifies the caribou. As we departed from Kennedy, everybody got one last final glimpse at a massive bull bedded down in the ditch of the Kennedy Siding FSR. The photo contest was a huge success. The pictures that were submitted ware fantastic, big thanks to everyone who competed and to everyone who participated in the voting process. After the votes were in and the ballads counted, the TWS exec team put together a beautiful calendar! Some of the photo's can be seen below. Thank you to everyone who helped out with the fundraiser for the tropical fish tank in building 8! After all of our efforts to raise the funds, the tank has an emergency fund save up and will also be receiving a few new residence to replace the ones that passed away in the last misfortunate malfunction. The bake sale was a huge hit and I hoped everyone who stopped by enjoyed the tasty treats as much as we enjoyed baking and selling them! The movie night was great fun and thank you to everyone who donated!!!! The BBL with Dr. Krebs was an excellent turnout. While all enjoyed pizza, students and staff got to speak with Dr. Krebs, discussing topics of Ecology, wildlife management, and the future outlook for youth and students interests in wildlife management. Thanks to everyone who came out to our winter meet and greet! We had a short rundown of our upcoming events, complemented with donuts from Tim Hortons, flowed by a couple quick questions. 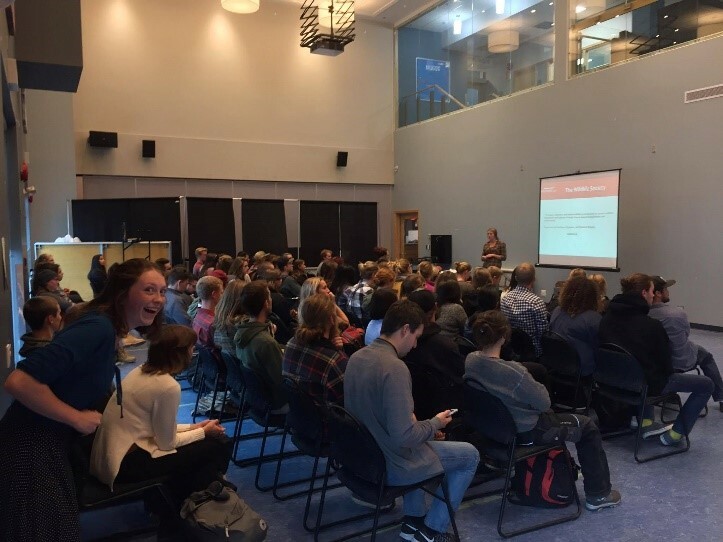 A few of us went to the talk by Megan Leslie, President & CEO of World Wildlife Fund-Canada who reflected on reflect on the intersections between conservation and cumulative impacts management. To our potlatch where food was first rate! all found themselves on your plate! It was so nice to see everyone out having a good time, stuffing our faces with good food! We had a small hiccup and had to move locations last minute. Thank you to those on the executive who managed some fast problem solving, to NUGS for the impromptu use of the NUSC space, and to the guests who were happy to go with the flow. Unfortunately our guest of honor, Winifred Kessler was unable to attend. Wini is the 2017 Aldo Leopold Memorial Award Recipient! She was the Director of Wildlife, Fisheries, Ecology, Watershed and Subsistence Management in the Alaska Region for the U.S. Forest Service. She also was a big contributor to the UNBC community as the founding chair of UNBCâ€™s Forestry Program. 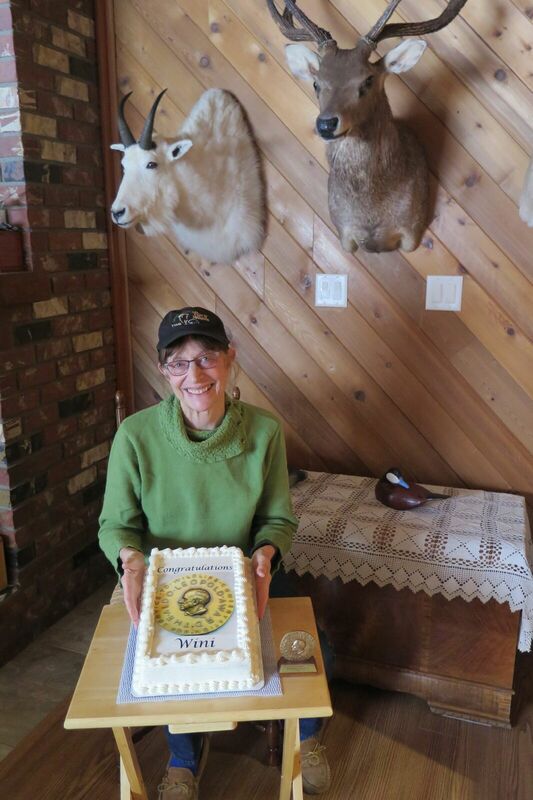 Among many of her accomplishments, Wini is the second female recipient of the Aldo Leopold Memorial Award. We regret that she was unable to attend but thankfully the cake we had for her was delivered safely! We had a great day on Green Day this year at UNBC! If you stopped by our table, we had candy, wildlife trivia, and even an ice fishing hole. Hope to see you next year at Green Day UNBC! Unfortunatly there was no attendance for this BBL. Thank you to those who prepared presentations! Unfortunately this trip was canceled, hope we have more interest next year. A big thanks to JPRF for the invitation as well as to those who helped with trip planning! 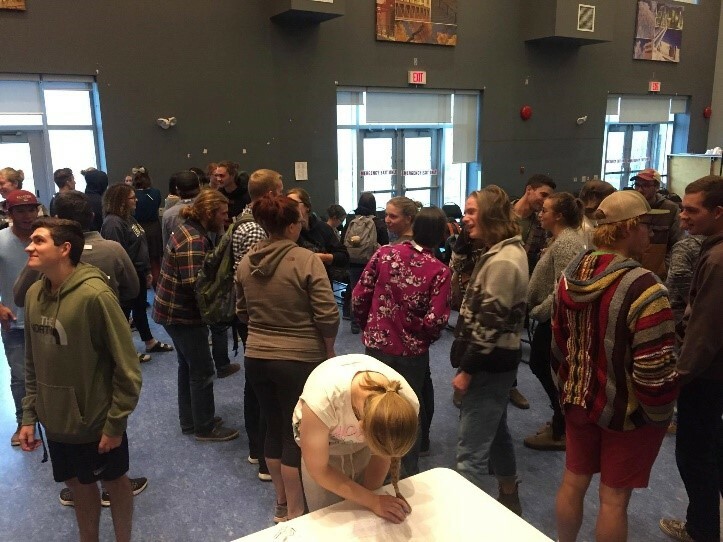 We had an amazing turnout this year; over 40 people including members of the community, members from the Fish and Wildlife TWS Student Chapter, UNBC staff, and students. The weather was fantastic and the fish were almost jumping out of a few holes! We would like to thank all of the volunteers who helped to make this event a success. We would also like to thank the community business who supported us; Tim Hortons on Southridge Avenue​, Cimo Mediterranean Grill, Canadian Tire, Hart Home Hardware, Spice of Life, Nancy O's, Black Diamond Lanes, Gold's Gym, GoodLife Fitness Centers, The Canadian Brewhouse & Grill, MR MIKES SteakhouseCasual, Exploration Place, Surplus Herbies, and Princess Auto. 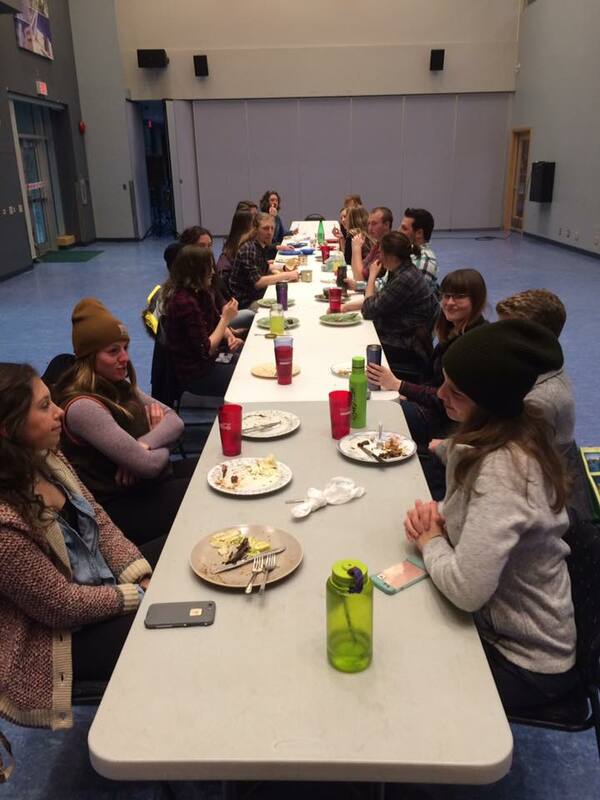 The UNBC TWS hosted the SkeenaWild Film Festival this year! We had a smaller turn out than usual, but that just meant better odds for the door prizes! Make sure to check it out next year! 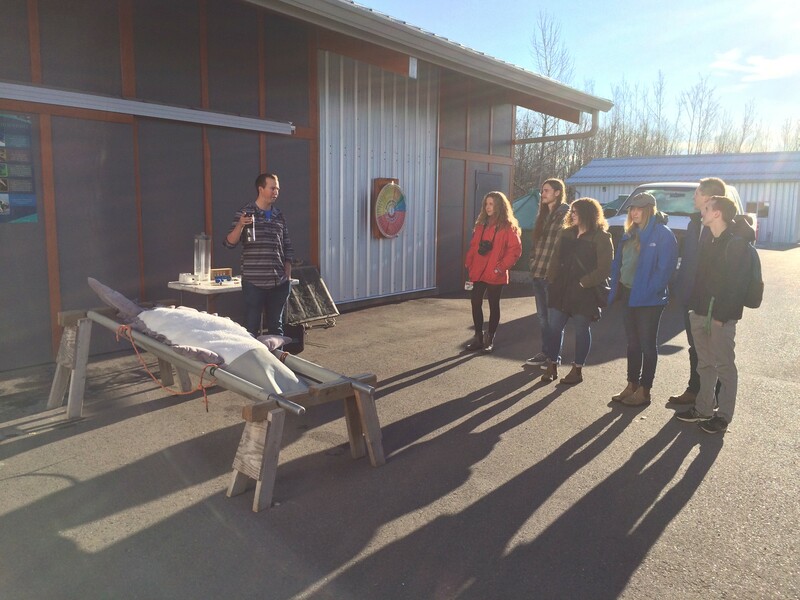 In February, we hosted local environmental consulting company, DWB, to come and discuss with us what it takes to apply with them, what they are looking for, and what to expect if you were to get hired. A few of our member took this great opportunity to connect professionally with SNRC, a local natural resource consulting company. It was very interesting to hear about some of the types of projects and experiences the company partakes in. Thankyou to SNRC for speaking with the members of TWS about who SNRC is, what opportunities they offer, and what they stand for. Thankyou to the Gr 7 class of Cedars El for inviting the members of TWS to talk about wildlife. We had so much fun exploring plants, birds, ungulates, mesocarnivores, and more. Thank you to everyone who attended 2018 AGM and annual Quizbowl! We had a great group of teams engaging in friendly competition for gift certificates for the moose. Congratulations to the winning team! Thank you for welcoming our new executives for the 2018/2018 semesters! 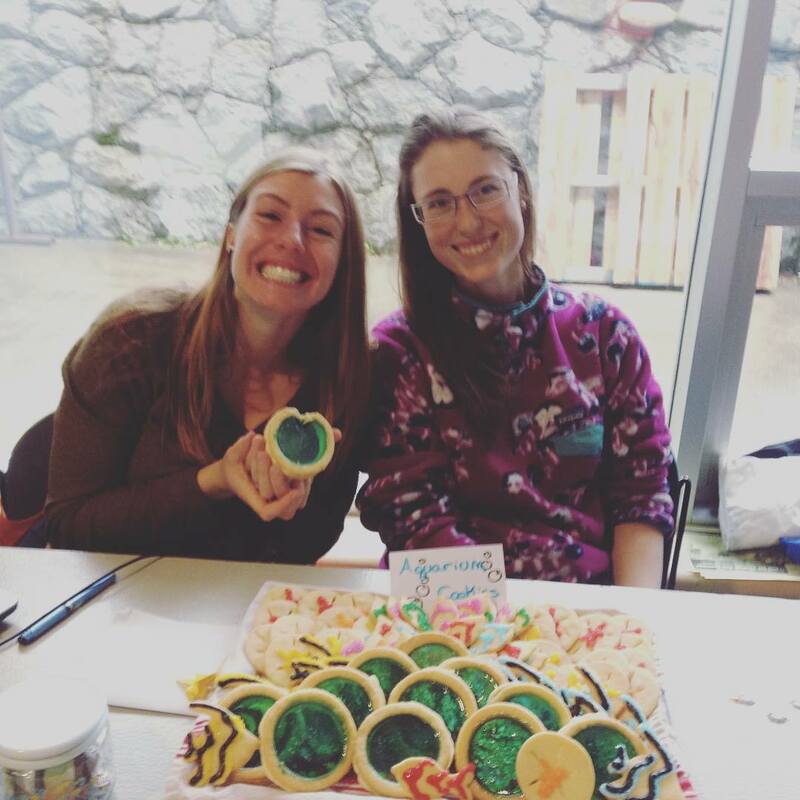 The carnivore carnival: from community ecology to coexistence was a fantastic talk. We would like to thank Adam Ford for speaking as TWSâ€™s guest 11th annual speaker at the NRESi-sponsored talk.